The Premier League returns after the Euro 2020 Qualifiers and one of the best fixtures to bet on kicks off at 4:30pm on Sunday when Spurs travel to Anfield to take on Liverpool. We've listed British Bookmakers best odds for Liverpool v Spurs below, a preview of the match, and the betting offers and free bets to use if you're having a punt on the game. Check out the best odds that bookmakers offer for a Liverpool win (H), a win for Spurs (A), or a draw (D) below. Use the ALL ODDS tab to view more bookmakers odds. NB: Liverpool v Spurs odds correct at 07:03 on 31/03/2019 and are subject to change. As well as online bookmakers best odds, we've also listed the betting offers and free bets that you can us on Sunday's match between Liverpool and Spurs at Anfield Stadium. Liverpool v Spurs will be broadcast live on Sky Sports at 4.30pm on Sunday March 31st. Signup as a new customer at 888sport using promo code '888ODDS' and you'll get the boosted price of 7/1 on Liverpool beating Spurs instead of 4/7. Expires 16:30 31/03/2019. New customers only. £10 minimum deposit using promo code "888ODDS" required. Qualifying bet must be placed at the normal odds Min bet £5, max bet £5. Extra winnings paid in FREE BETS and added within 72 hrs of qualifying bet settlement. Further T&C’s apply, see 888sport website for full details. 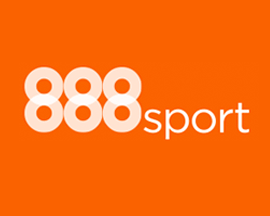 Signup as a new customer at 888sport using promo code '888ODDS' and you'll get the boosted price of 33/1 on Spurs beating Liverpool instead of 22/5. Signup as a new customer at 888sport and bet £10 on Liverpool v Spurs and win or lose, they'll add £30 in free bets to your account (3 x £10 free bets). 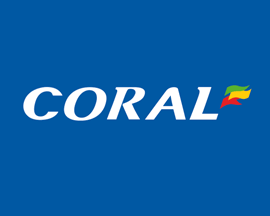 Signup as a new Coral customer and bet £5 on Liverpool v Spurs and win or lose, they'll credit your account with four £5 free bets giving you 4 chances to win! 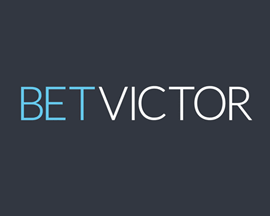 Signup at Bet Victor today and bet £5 on Liverpool v Spurs and win or lose, they'll credit your account with two £10 free bets and a £10 casino bonus! 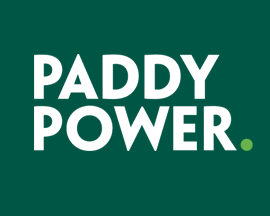 Signup with PaddyPower today and bet £20 on Liverpool v Spurs and if you don't win your bet, they'll refund your original £20 stake - in cash! 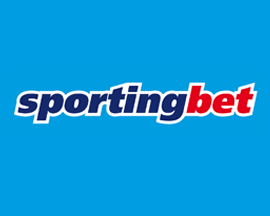 Register as a new customer at SportingBet and bet £10 on Liverpool v Spurs and if you don't win, they'll credit your account with a free bet worth £10. 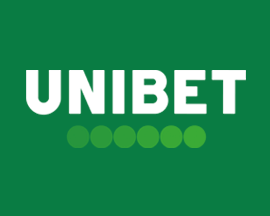 Signup with Unibet and bet up to £30 on Liverpool v Spurs and if you don't win, they'll credit your new account with a free bet matching your stake. 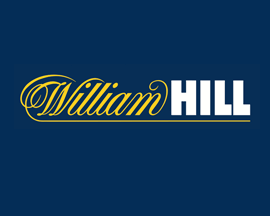 Signup as a new customer at William Hill and bet £10 on Liverpool v Spurs and win or lose, they'll credit your account with £30 in free bets (3 x £10 free bets). Spurs travel North to Anfield this weekend, where they take on Liverpool in a crucial fixture that’s set to be the betting highlight of Sunday’s Premier League action. Bookmakers offer Liverpool as favourites, and while they need a win to ensure that they remain at the top of the table, Spurs also really need a win if they are to hold on to a top 4 spot. With so much at stake, you’ll find bookmakers offering some brilliant betting offers on how this fixture will unfold, and the impact it will have on the Premier League table. Liverpool have, by far, the better track record against Spurs, securing a victory in the first meet of the 2018/19 season, when they beat Spurs at Wembley with a 2-1 scoreline. Although bookmakers offer Liverpool as favourites to win, 4 of the last 7 Premier League clashes have ended in draws, with Liverpool winning twice and Spurs just once. Liverpool look the much stronger team at the moment, however both sides haven’t performed to the high levels that they showed earlier on in this Premier League season. In the lead up to Liverpool v Spurs, we've looked at both team’s recent form, as well as the player injuries/suspensions that could affect Klopp or Pochettino’s match preparations. It’s tight at the top of the Premier League table, and the outcome of this fixture with Spurs on Sunday could be crucial for Liverpool at this stage of the season. Jürgen Klopp’s side are currently top of the table on 76 points, but if Man City can beat Fulham on Saturday as most expect them to, they would be pushed into 2nd place. Liverpool really can’t risk suffering a loss to Spurs if they are to keep their title dreams alive as they've already played once more game than their title rivals Man City. Although Liverpool haven’t lost in 10 Premier League matches, they’ve only won 4 of their last 8 fixtures and really need to pick up points if they want to stay ahead of Man City. In saying that, they've only lost once all season and so if they can beat Spurs on Sunday and then Southampton before they meet Chelsea, they'll be in a much stronger position. Klopp has had to deal with quite a few missing and injured players lately, but luckily most are due back in time for the Spurs match. Shaqiri, Henderson, Alexander-Arnold and Keita are all expected to be fit; however Gomez and Oxlade-Chamberlain could be missing. After a strong run, Spurs' form has dipped of late and Pochettino’s side haven’t won any of their last 4 Premier League matches, struggling with 3 loses while only holding Arsenal to a draw. A number of missing players contributed to this, however suffering defeats to Southampton and Burnley, who are just sitting clear of relegation, just hasn't been good enough. Especially for a team that was expected to provide some form of title challenge just a month ago. There's a lot riding on the match for Spurs, and if they can somehow come away from Anfield with a win, they'll then, in theory, face less challenging teams in Crystal Palace and Huddersfield before meeting Man City next month. A victory would give them a much needed boost and keep them ahead of Arsenal, Man Utd and Chelsea in the Premier League table who are all within 4 points of each other. Unfortunately Spurs have struggled with a number of injuries, but it looks as if they are nearly all back with only Aurier and Dier ruled out, while Winks is expected to be back in the squad. Spurs are more than capable of beating Liverpool on their day, but they'll really need to improve on their recent form if they're to get an away victory versus the current league leaders. Liverpool and Spurs have met each other 171 times over the years with Liverpool currently having the better stats with 81 victories, compared to just 48 wins for Spurs and 42 draws. There have been 53 fixtures between Liverpool and Spurs in the Premier League era, with Liverpool again having the upper hand with 24 wins compared to just 14 for Spurs. The last 6 Premier League games involving both of these sides has resulted in 2 wins for Liverpool, 1 victory for Spurs and 3 of the matches ending in draws. The last Premier League fixture between these two sides occurred on the 15th of September in 2018 when Liverpool came away from Wembley with a 2-1 victory. Goals from Georginio Wijnaldum and Roberto Firmino put Liverpool 2-0 up before a late goal in the 90th minute of the match by Érik Lamela gave Spurs fans something to celebrate. The last match where Liverpool played Spurs at home at Anfield was when they met in the Premier League on the 4th of February in 2018 with the game ending in a 2-2 draw. Mohamed Salah twice gave Liverpool the lead, with Victor Wanyama drawing Spurs level in the 80th minute and then Harry Kane in the 5th minute of injury time! The biggest win that Liverpool have ever recorded over Sunday's opponents in a Premier League fixture was the 6-2 victory at Anfield on the 8th of May back in 1993. Two goals each from club legends Ian Rush and John Barnes as well as a Mark Walters penalty and own goal from Stuart Nethercott did the damage with Teddy Sheringham and Steve Sedgley getting a couple of consolation goals for the away side. The highest score that Spurs have ever beaten Liverpool by in the Premier League era was the 4-0 win on the 18th of September in 2011 when they met at White Hart Lane Stadium. Luka Modrić kicked things off scoring a goal in just the 7th minute Jermain Defoe adding another after the break on 66 minutes before a brace from Emmanuel Adebayor in the 68th and 90th minute sealed the win for the home side in front of a crowd of 36,129. Looking at the last 5 fixtures that Liverpool have played in all competitions, they've won 4, drawn 1, and lost 0 scoring a total of 14 goals (2.8 goals per game) and conceding just 4 times. Spurs's record over their last 5 matches in all competitions is won 1, drawn 1 and lost 3. They've scored less goals than Liverpool, 4 in total (0.8 goals per game) and conceded more (7).